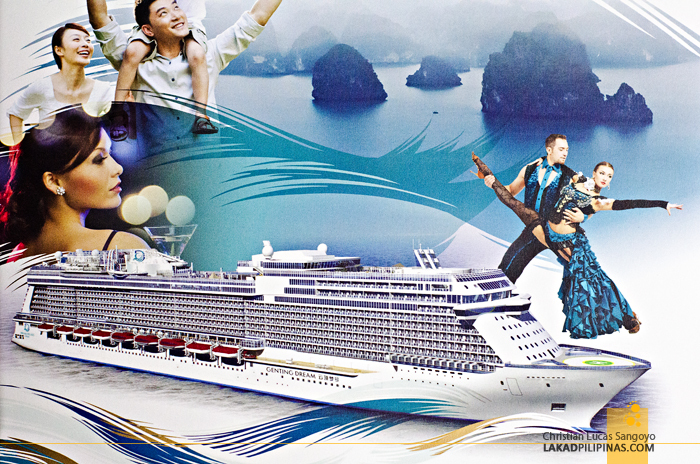 Genting Hong Kong, a leading global leisure, entertainment and hospitality enterprise, unveiled its plans to claim Asia’s premium cruise market with the introduction of Dream Cruises, the first-ever Asian based premium cruise line brand. Aboard Star Cruises’ highly-acclaimed SuperStar Virgo, Genting Chairman and Chief Executive Officer Tan Sri Lim Kok Thay announced to 1,000 special guests, including media and travel agents, the launch of Dream Cruises with the building and delivery of two new ships that will attract and cater specifically to Asia’s premium sector. Dream Cruises’ first ship, Genting Dream will debut in November 2016, while its sister ship World Dream will sail in November 2017. Genting Dream will carry 3,400 guests and 2,000 crewmembers, giving the 150,000-ton vessel the largest guest space ratio of 45 tons per guest as well as the highest crew-to-guest ratio at 1.7 of any Asia Pacific ship. The German-built ship will be the most spacious large cruise ship in Asia Pacific boasting two exclusive floors of “Dream Suites” measuring from 32 to 183 square meters and features European butler service and special privileges. The accommodations aboard Genting Dream will reflect both size and choice for travelers, with 70 percent of Genting Dream’s staterooms offering private balconies, and more than 100 connecting rooms that will cater to larger extended families. In addition to offering a range of accommodations, Genting Dream will showcase more than 35 restaurants and bars onboard with a culinary emphasis on Asia, specifically for Chinese guests, offering dining experiences from all the regional cuisines of China as well international favorites such as Japanese, South East Asian, Italian, and more. 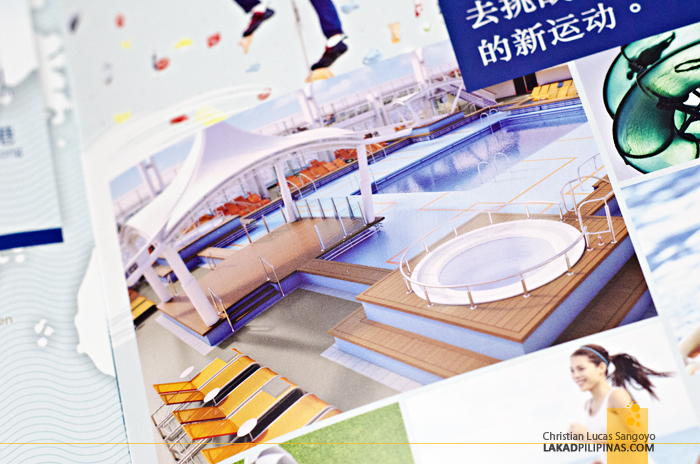 Guests on Genting Dream will have no trouble staying active on board with the ship’s plethora of recreation and enrichment venues including a variety of pools, six water slides, a 610-meter wrap around promenade, play rooms, a rope climbing course, a bowling alley, mahjong and card rooms, and duty-free shopping. 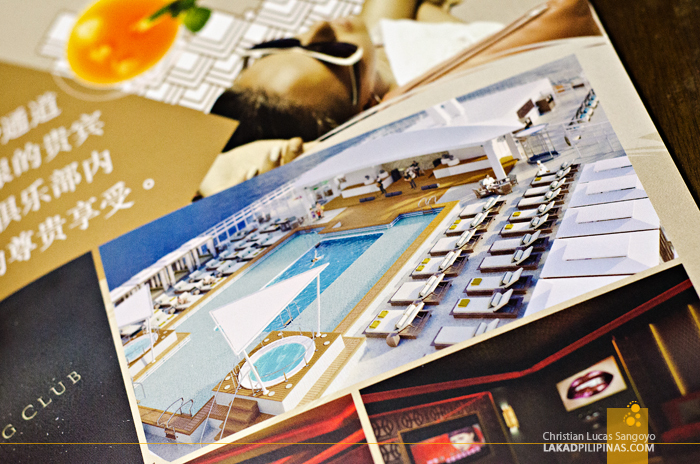 Daily activities from wine tasting to inspirational speakers will enrich guests’ time at sea and a full complement of health and wellness facilities will further enhance the cruise experience with state-of-the-art Asian and Western Spas, a beauty salon, barbershop, and health club. Genting Hong Kong has appointed Thatcher Brown as president of Dream Cruises and he brings a vast knowledge of international hotel and cruise experience to Dream Cruises, and has the distinction of being one of the first employees of Crystal Cruises when the company began 25 years ago. TAN SRI LIM KOK THAY, CHAIRMAN AND CHIEF EXECUTIVE OFFICER, GENTING HONG KONG (CENTRE RIGHT) AND MR. THATCHER BROWN, PRESIDENT, DREAM CRUISES (CENTRE LEFT), OFFICIATE AT THE DREAM CRUISES LAUNCH EVENT. Joining Brown at Dream Cruises is Norbert Tesar, a 20-year Crystal Cruises hotel management veteran, who will train all 2,000 crew onboard and Ural Korkmaz, a 15-year head butler with Crystal Cruises, who will train all butlers serving guests in the 142 Dream Suites on board Genting Dream. When it commences sailing in November 2016, Genting Dream will have triple homeports in Guangzhou (Nansha Port), Hong Kong and Sanya. The ship will serve residents of the Pearl Delta and Hainan and domestic and international guests flying into the airports of Guangzhou, Shenzhen, Zhuhai, Macau, Hong Kong and Sanya. Itineraries from the Guangzhou (Nansha Port) will offer a year-round 2-night weekend cruise departing Fridays calling at Hong Kong and a 5-night weekday cruise on Sundays calling at Halong Bay, Danang and Sanya. The Hong Kong homeport will feature a 7-night itinerary calling at Guangzhou, Halong Bay, Danang, Sanya and either Shenzhen or Zhuhai using Nansha Port. The Sanya homeport will also feature a 7-night itinerary calling at Guangzhou, Hong Kong, Shenzhen or Zhuhai using Nansha Port, Halong Bay and Danang. The special Dream Cruises launch event provided media and travel partners with a sneak preview of the excitement to come and how Dream vacations can come true on Dream Cruises. 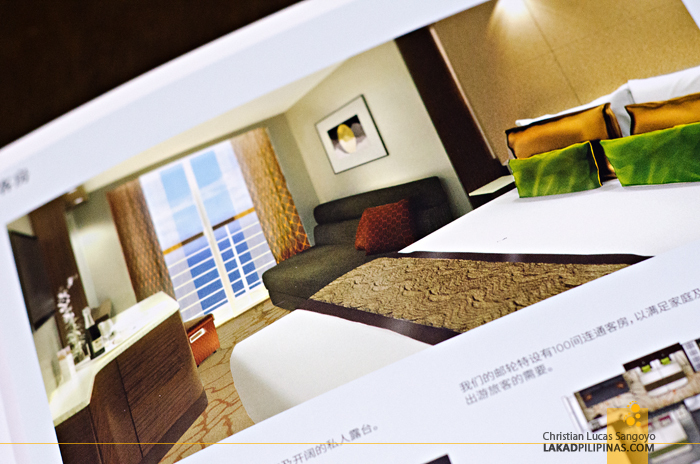 For more information about Genting Hong Kong, please visit www.gentinghk.com. Taking on a bold initiative to grow the Asia-Pacific as an international cruise destination, Star Cruises has built its reputation on offering first-rate Asian hospitality through a fleet of six contemporary ships. Newly launched Dream Cruises will cater to the growing premium Asian cruise market while recently acquired Crystal Cruises is the world’s leading luxury cruise provider, having earned more “World’s Best” awards than any other cruise line, hotel, or resort in history. Genting Hong Kong’s first foray in a land-based attraction, Resorts World Manila opened its doors in the Philippines to the public in August 2009. Resorts World Manila is one of the premier leisure brands under the Genting Group and the Philippines’ first one-stop, nonstop vacation spot for topnotch entertainment and world-class leisure alternatives, featuring three hotels including the all-suite Maxims Hotel, an iconic shopping mall, four high-end cinemas and a multi-purpose performing arts theatre.